I did my first job while I was studying at Rockford University in the US. I worked at a bank where I was helping the head of IT to manage the IT assets of the bank. The number one challenge is really around the HR aspect. Do I have the right people in the right positions? That is my number one concern. 3. Who has had the biggest impact on your career and why? The many professionals I have had the opportunity to work with over the years have had the biggest impact on my career. Each one has taught me something to adopt or to avoid. So in essence, I have built my career by learning from their strengths and avoiding the weaknesses of the people who I have worked with, and continue to work with. 4. What is the best professional advice you’ve ever received? The best advice I have ever received has to do with strategy alignment: ensuring that your business has a strategy, that everybody in your company knows about it and is aligned to it, and then putting in necessary priorities and systems to enable execution. It is important to be mindful of the fact that business must have a strategy and people must know that strategy. It can’t be a strategy that exists only in my head. I am very stubborn and methodical. A lot of my educational training was around software programming and that builds a certain mindset of being logical, process oriented and systematic, in addition to being IT savvy. I have taken those qualities and applied them to a big part of who I am. Some of these approaches don’t manifest as an advantage overnight – it can take years to build the right culture. So persevering and being stubborn helps. I also get bored easily, so I am always innovating, not just in terms of product but also in the way we work. Continuously being out of the box in everything we do creates its own advantage and disadvantage – sometimes my team and my board will complain that I keep changing things – but we will only grow through change, even though sometimes the change might not work out well. I don’t think the theoretical approach is relevant. You can’t read a book and be a reader. Leadership is a combination of what you do on the job and what you do with peers. I think the best lessons of leadership are learned from other people. I am a member of two peer organisations – Entrepreneurs’ Organisation (EO) and Young Presidents’ Organisation (YPO) – and in both of these we have a peer-learning approach. We meet as owners and CEOs of businesses every month and we spend about half-a-day sharing experiences and learning about each other’s highs and lows. That really helps to build leadership – I am talking about the stuff you can’t pick up from a book. I brew beer when I can. I basically use a big sufuria (Swahili for cooking pot), a couple of buckets and a few fancy gadgets, so I generally use very simple equipment. It’s not that I drink too much, it’s that I love the variety of beer. I love the way you can change the taste of the beer by adding different ingredients and spices to it. The whole creative process is something I really like. I always interview for personality and attitude. Obviously there are skill related questions that one has to ask, but attitude, personality and core values are much more valuable to me. There is no specific question that I could tell you, but I am always trying to understand if the person has the four elements of our culture. Are they fast? Do they think in an expensive way? Can they make more out of less? And can they think in a simple way? I want to see that the cultural indicators are matching. It is the same message I would give to myself: believe in the markets where we operate, and believe in yourself. 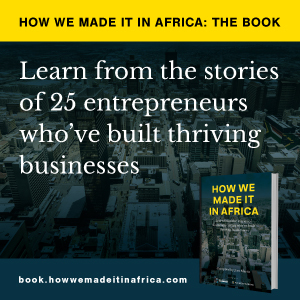 As long as you are running the business in a professional way and putting the right people in the right seats on the bus then there is no reason why we can’t build a successful business on this continent, that can outstrip growth and valuation compared to other places in the world. I think it is all about belief in oneself, and in the environment in which we operate. It is a ‘can do’ and a ‘yes we can’ approach. Adversity builds character. Adversity builds innovation. There are people who say they can’t do business in Africa because of the 101 reasons of adversity. But I think there is more innovation that has come out of that adversity, and which has helped build businesses for the better, if one looks at problems as opportunities rather than as challenges. Akshay Shah is managing director for Silafrica, a plastics and packaging manufacturing business with factories in Tanzania, Kenya, Ethiopia and Uganda, as well as an innovation and design facility in India.